A week-long technology camp for Bahamian students in grades 9-12, accepted teens learned from highly qualified STEM instructors, entrepreneurs and professionals from the United States and the Bahamas. Students applied this knowledge to developing technology solutions to challenges facing their communities and their country. On the final day of the camp, the students presented their projects, along with detailed business plans, to a panel of distinguished judges. 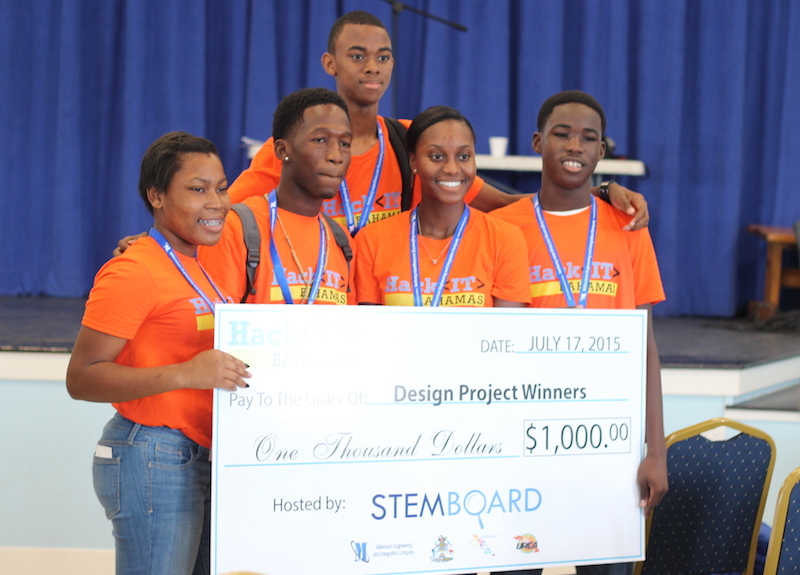 Since 2014, STEMBoard has delivered quality STEM programming to the Bahamas. Our students represent the best and brightest, who go on to pursue degrees in technical fields and found startups. Aisha Bowe is the co-founder and CEO of STEMBoard, a technology solutions company that specializes in defense and intelligence systems. Aisha leads development, expansion and management of STEMBoard’s multi-million defense-contracts and private sector clients. Prior to STEMBoard, Bowe was an Aerospace Engineer at the NASA Ames Research Center where she focused on miniaturized satellites and aircraft. Bowe holds a B.S.E in aerospace engineering and an M. Eng in space systems engineering, both from the University of Michigan. expert in augmented reality software and mobile solutions, John brings vast experience in working with the U.S. military, government and private sectors. He holds bachelor’s and master’s degrees in computer engineering from the Rochester Institute of Technology. for the aerospace education project at NASA's Langley Research Center, where he also helped develop curricula for its distance-learning program. Gamaliel, a U.S. citizen, holds a Ph.D. in instructional design and technology from Old Dominion University, from which he also holds a master’s degree in education. commitment to engineering and education, having managed technical projects in both private and public sectors. Erika holds a bachelor’s degree in mechanicalengineering from Southern University A&M College and a master’s degree in engineering management from Old Dominion University..
Jasmine L. Sadler works at Solar Turbines as a turbine test engineer, and previously worked as a software design engineer. She has also worked with the Army, Navy and Air Force as a logistics operations engineer to predict when and why a device might fail. Jasmine graduated from University of Michigan with a degree in aerospace engineering. She loves to dance, style hair and help students with their math homework. 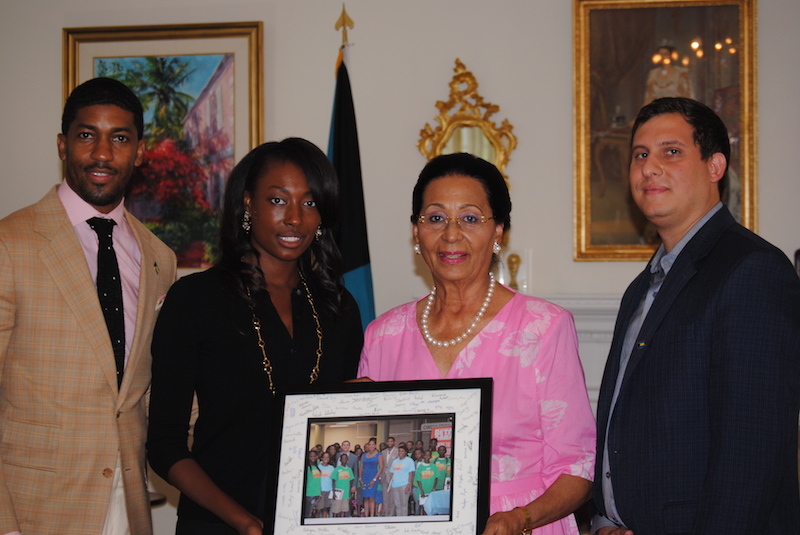 Sonja Sulcer is the founder of Caribbean Innovation Ventures. Sonja is passionate about inspiring individuals from the Caribbean diaspora to maximize their potential as innovators and entrepreneurs. She designs, develops and manages innovation and entrepreneurship training programs for an international audience at Stanford University. Dr. Jerrid Matthews received his B.S. in Computer Science and Engineering from Michigan State University in 2006. Dr. Matthews earned his M.S. and Ph.D. in Computer Science from the University of California, Los Angeles, in 2009 and 2014, respectively. Dr. Matthews is also the recipient of many prestigious awards, such as the NSF ICORPS Research grant given to Ph.D. students working on projects with high social impact and commercial potential. Dr. Matthews also co-founded Vesta Mobile Solutions, a company that provided media, entertainment and small businesses the ability to engage with their users through text messaging during his graduate tenure at UCLA.